North Carolina now has its second voter identification law. A federal court voided the first because it would not consider forms of ID disproportionately used by minorities, such as cards or documents given to government employees, students, and people on public assistance. In this past November’s referendum, the state’s residents approved a voter ID amendment to the N.C. Constitution. The General Assembly then swiftly passed into law, overriding a gubernatorial veto, a bill permitting many more forms of identification than the original. Another successful legal challenge is unlikely, since the Supreme Court has upheld the constitutionality of near-identical statutes in other states. North Carolinians have been debating the legitimacy of voter identification for many years. A central feature has been a dispute over the prevalence of election fraud enabled by the lack of an ID requirement. 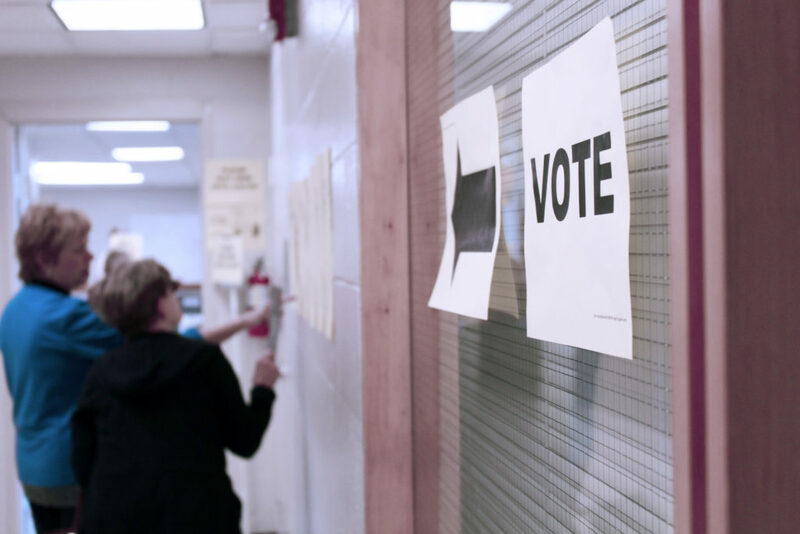 Opponents, generally on the left of the political spectrum, say incidents of illegal voting by people claiming to be others are exceedingly rare. Supporters point to contradictory data and worry such fraud violates the rights of those who vote legitimately. Regardless of the true extent of voter impersonation, the events of the past couple of months suggest conservatives who wish to maintain the integrity of American elections are looking in the wrong place. We shouldn’t be so worried about who turns up at the polls, but who doesn’t and yet still casts a vote. “Ballot harvesting,” where individuals drop-off a large number of others’ postal absentee votes, is in vogue. California made ballot-harvesting legal in time for the 2018 elections. The postal-vote-only states of Colorado, Oregon, and Washington also permit the practice, but the Golden State has in-person voting, as well. Still, the Democrats who monopolize the state’s politics quickly saw its utility, passing the California Voter’s Choice Act and liberalizing absentee procedures greatly in 2016. Outgoing Republican House Speaker Paul Ryan of Wisconsin noticed the results of ballot harvesting in the weeks following last year’s election. Republicans appeared to be holding on to seven closely contested California congressional seats based upon in-person and early voting tallies. Those leads melted away as dropped-off absentee ballots were counted and all of the GOP candidates ultimately lost, some by astonishing margins given the figures initially reported on election day. Democrats are not the only ones who have benefited from this dubious procedure. Last November, at least one political operative appears to have illegally harvested the ballots of voters in Bladen County. There’s significant evidence that McCrae Dowless unduly influenced or tampered with and then delivered the absentee votes of many residents for Republican Mark Harris, who currently leads Democrat Dan McCready in the Ninth Congressional District contest by less than half a percentage point. Some voters Dowless approached were reportedly high on drugs, others handed over signed but blank ballots for which they were paid. Dowless worked for a company that the Harris campaign gave over $400,000. These incidents suggest manipulation of absentee voting is a threat graver than voter impersonation. The 9th District aside, ballot harvesting is something Democrats can do and have done “better.” Labor unions in the public and service sectors and advocacy groups like the Center for Popular Democracy and their state partners have grassroots operations that facilitate access to voters who don’t want to go to the polls or are willing to have others deliver ballots for them. Such citizens, often the elderly, ethnic or racial minorities, and low-income, are the types of voters Democrats have accused Republicans of wanting to disenfranchise with voter ID laws. Their frequent ambivalence about politics and residence in many insular communities with cultures of political corruption make them especially vulnerable to ballot harvesters. We saw in the past how they were exploited by Acorn, the discredited and defunct organization CPD has risen to replace. The Democrats own an infrastructure capable of registering voters, canvassing them on their doorsteps, and driving them to the polls. It facilitates direct contact with subjects, communication that, unlike texts, emails, and social media activity, doesn’t leave a lasting record to assist investigators. The GOP has spent decades beefing up its voter database, but it uses the information to inform strategies executed using tools such as robocalls, direct mail, and media advertising. The object is to get registered voters to the polls under their own steam. Except in less-affluent rural areas where they can hire shady mercenaries like Dowless, Republicans will always be disadvantaged where ballot harvesting is permitted. In its efforts to protect the integrity of elections, the party should be exploring policies that make people come to the polls to vote, not give them the third degree upon their arrival.